For my first outfit, I decided on a vintage 80s jumpsuit and spiked booties. 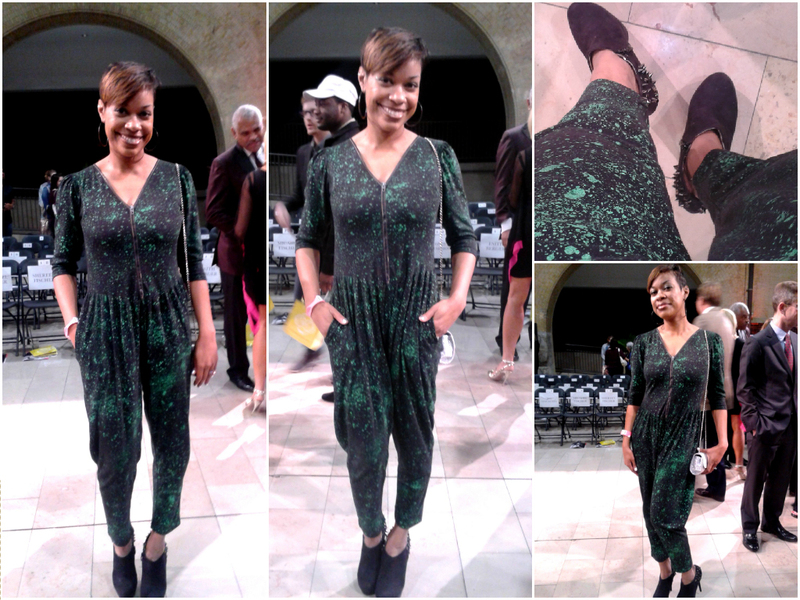 I was drawn to the green splatter-paint pattern, and I always think jumpsuits look fresh for an evening out. My second look was probably my favorite look of the whole week. The cartoony print both stood out and fit in with the artsy crowd at The Luminary. Paired with knee socks for warmth (it was kinda yucky outside), I'm slid on my new chunky, sky-high platforms. 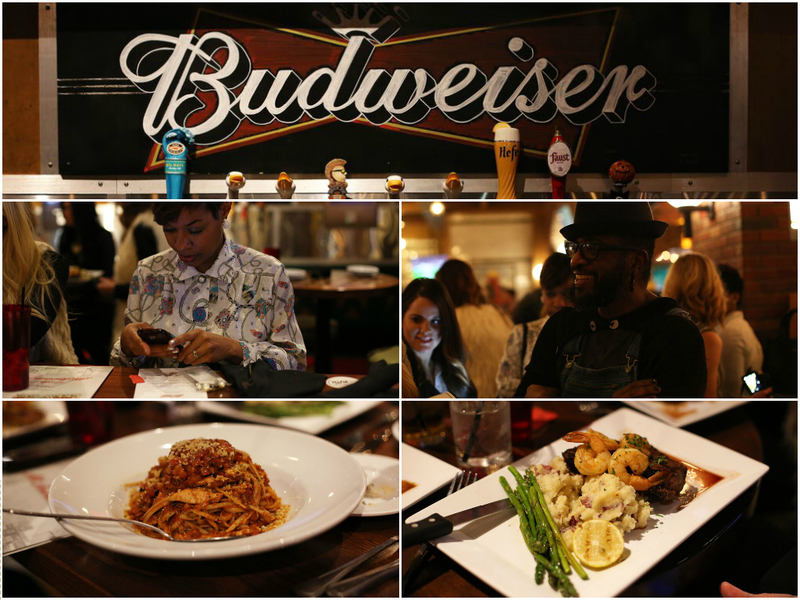 In between the whirlwind of fashion events, I was more than ready for a scrumptious meal. My favorite type of food is anything I don't have to cook myself, so I'm very open in terms of my willingness to sample new restaurants. 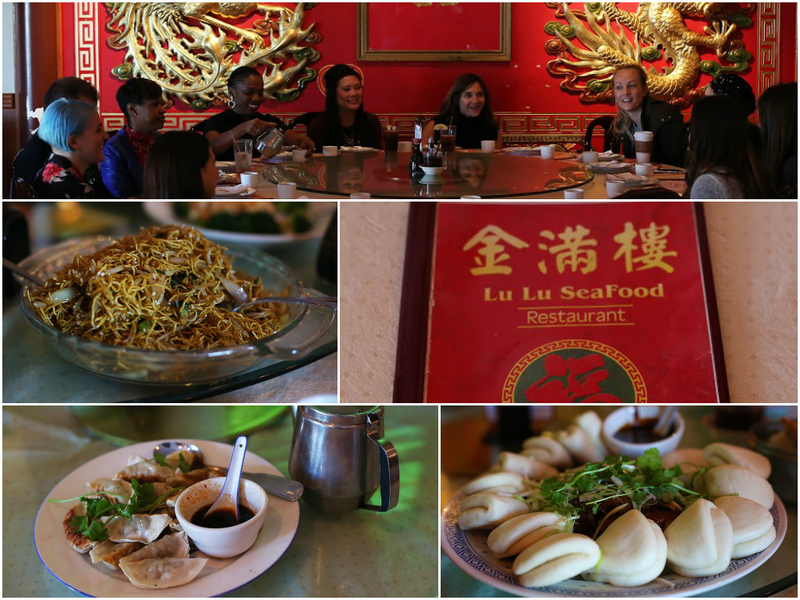 Lulu Seafood & Dim Sum, housed near my stomping grounds in University City, hosted a group of STLFW Bloggers for an exquisite lunch. After loading up on pork buns, noodles, pot stickers, calamari, and duck, I decided that I needed to come back to Lulu's as soon as possible. Somehow, the duck wound up in front of me, and I took full advantage. Still stuffed from my delish lunch, I later met up with the blogger babes at newly-opened Vegan store Fauxgerty. 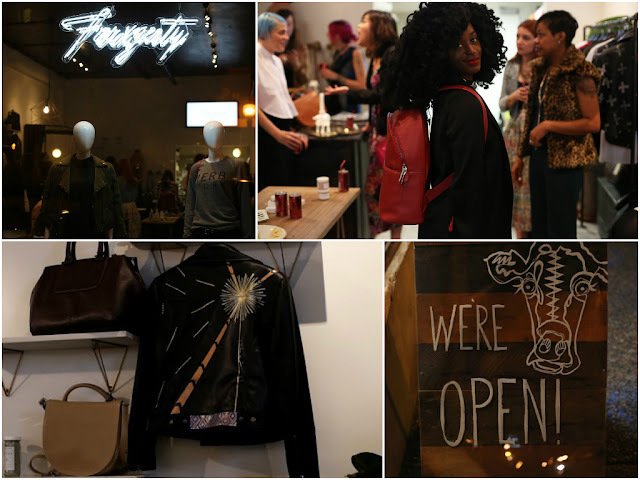 Amidst a spread of veggie sushi and some of the tastiest vegan cookies I've ever had, I swooned over the impressive collection of moto jackets, We then made the several-block hike (thank goodness I decided to bring my jacket) to projects + gallery for the Apex Predator | Darwinian Voodoo exhibit by Fantich & Young. The suggested attire for these festivities was "creative cocktail." 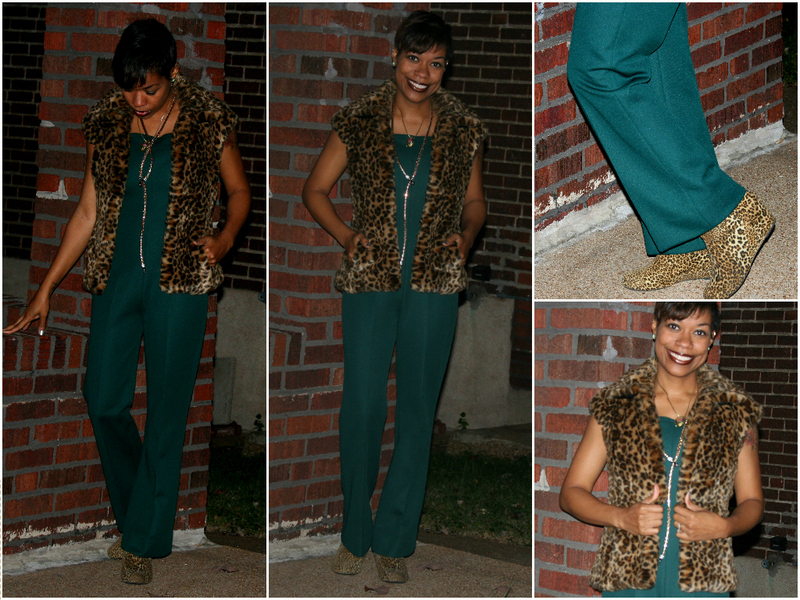 Out came another jumpsuit, this one with 1970s flare and my timeless faux fur vest. 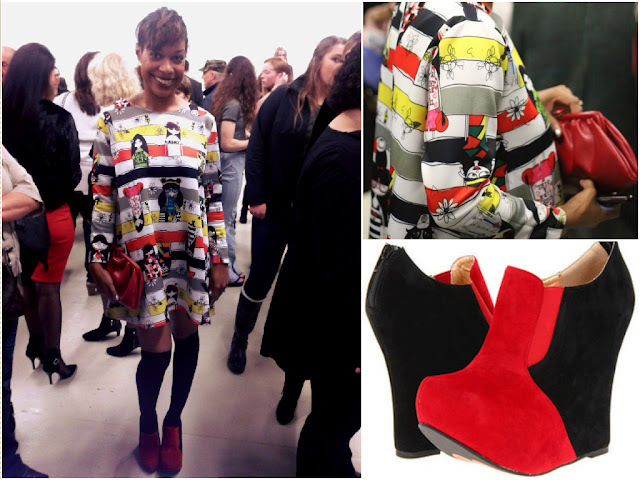 Not one to shy away from matchy-matchy, I paired it with leopard print booties. 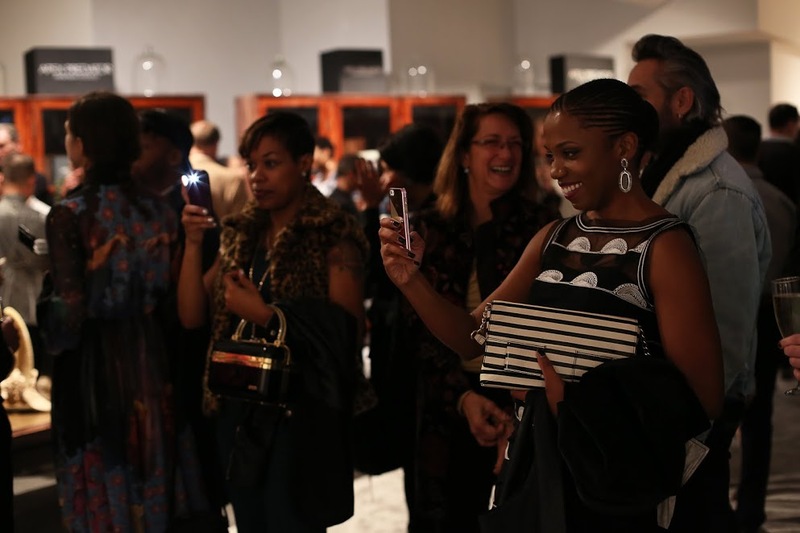 My blogger friend Psyche and I were captivated by the Apex Predator show. That lady's "dress" is made of human hair. The kid shoes and sink are adorned with teeth. The week was capped off with a fab blogger party hosted by Ballpark Village. 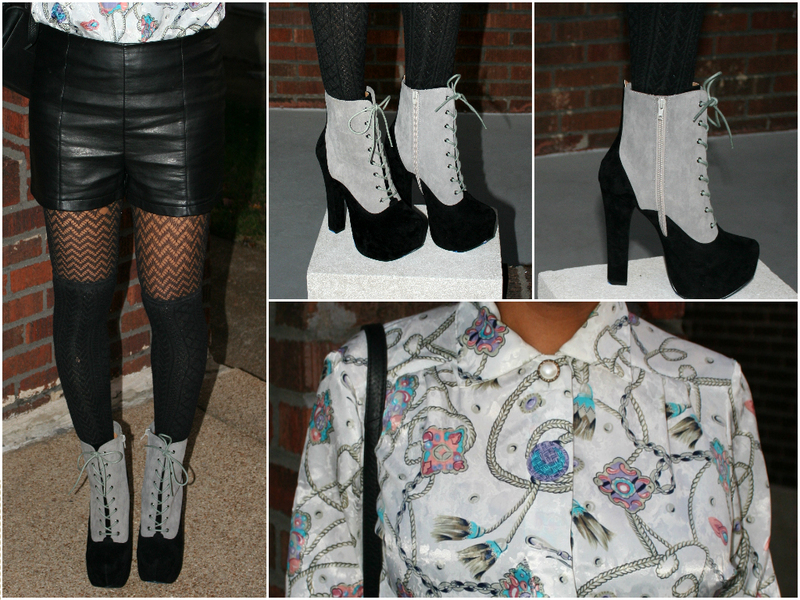 I went for a funky, 70s look with crazy booties and leather shorts. 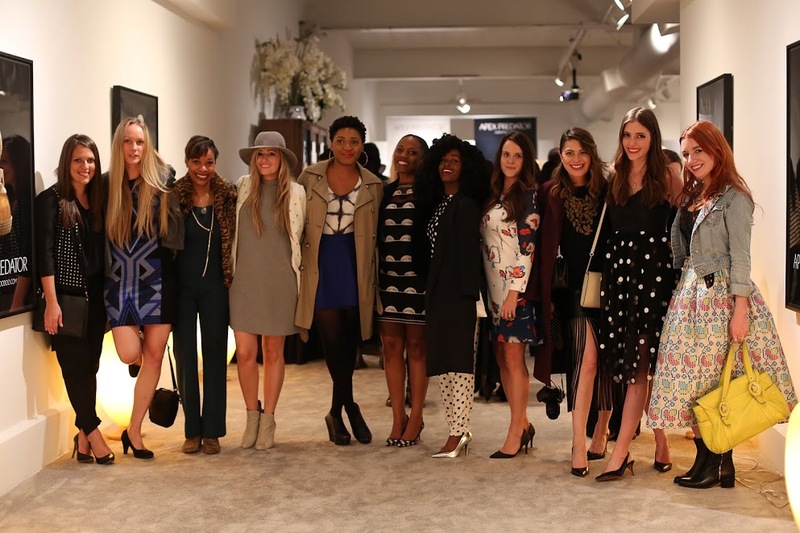 Before dinner at Budweiser Brew House, we got to meet emerging handbag designer Everett E. Johnson. 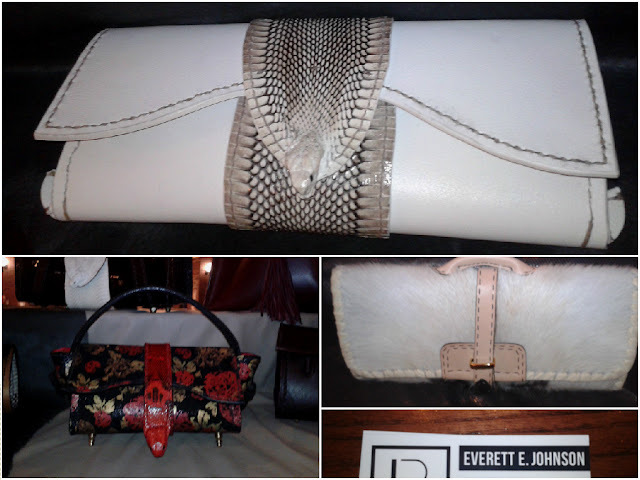 I fell in love with the Eve purse, but as Everett pointed out, all of his purses are "dangerously beautiful." We then munched on our dinners, and yours truly sampled 3 meals off the menu: chicken linguine, tilapia, and a brisket sandwich. Yum! Designer Everett E. Johnson likes to juxtapose demure silhouettes with tough elements, like the reptile heads. 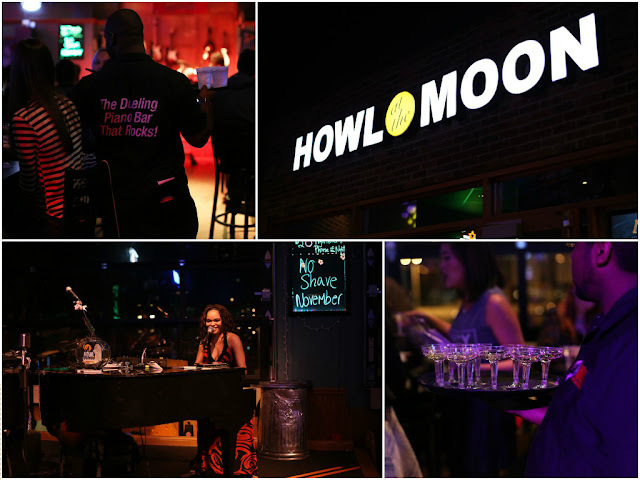 Finally, we all celebrated at Howl At The Moon, a dueling piano bar, with a champagne toast and lots of laughs. (There was an after-after party, but I was too pooped to join that one.) All in all, a fantastic week. Special thanks to the Midwest Influencer Network, Explore St. Louis, and all the brands who graciously hosted us! P.S. 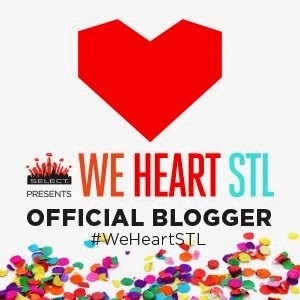 Midwest Influencer Network and Explore St. Louis sponsored this content.